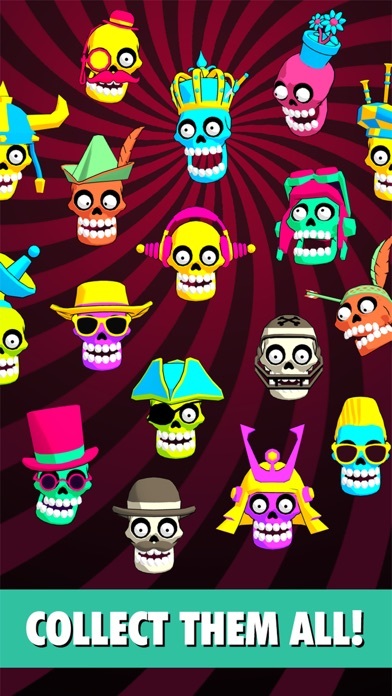 Zombie Dash is a fun, addicting arcade game perfect for boring moments. 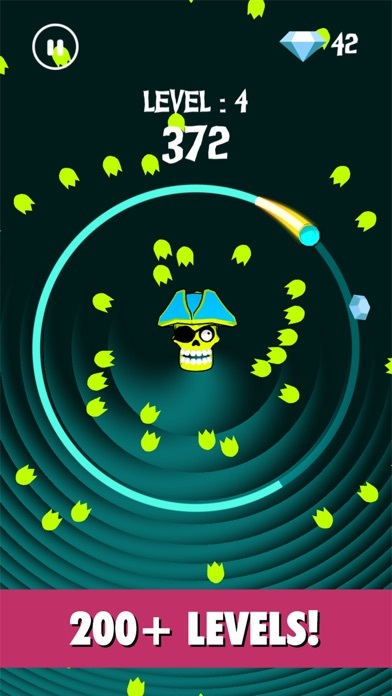 Challenge your reflex and dash through circles without being shot by that crazy Zombie head! Features: - Simple, yet challenging arcade gameplay - Try to make as much circles as possible. 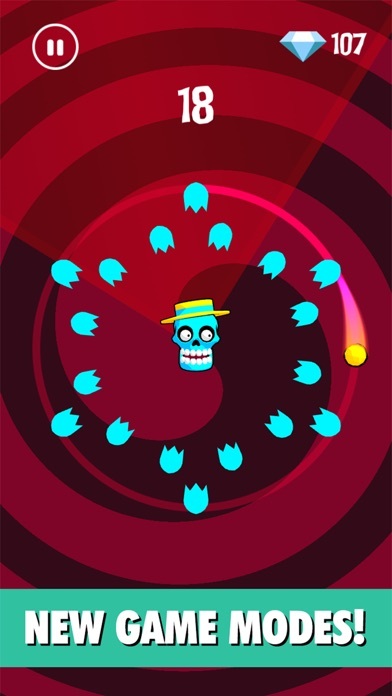 Each new circle brings a color switch for the Zombie, background and gameplay elements - Play as you want in various Game Wave Modes on more than 200 levels - Collect Diamonds and unlock funny hats for the Zombie - Master your High Score and top the Leaderboards Gameplay details: Zombie Dash reaches back to the roots of arcade games from the past and tries to bring a different, fresh idea to create a new challenge for mobile gamers. 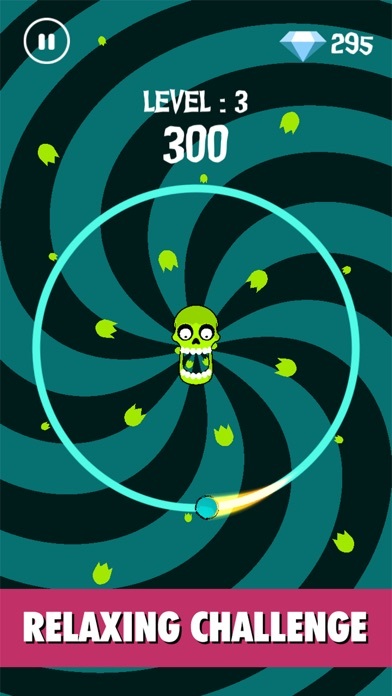 Player has to test his reflexes, make as much circles as possible and avoid Zombie shots flying from the centre of the screen. Each new circle brings different challenges - the colors are switched, shots fly in different patterns, camera behaviour changes. The longer you play, the harder it gets! If the main Endless Mode is not enough, we are making updates with new Game Modes, each packed with 50+ new levels with a twist to the basic game mechanic. By completing all the levels in a game mode, you can collect unique hats for the Zombie and brag with your friends! We invite you to install the game, try the challenge and master your reflex or just have simple, good fun with Zombies!